Viknesh Vijayenthiran May 27, 2018 Comment Now! 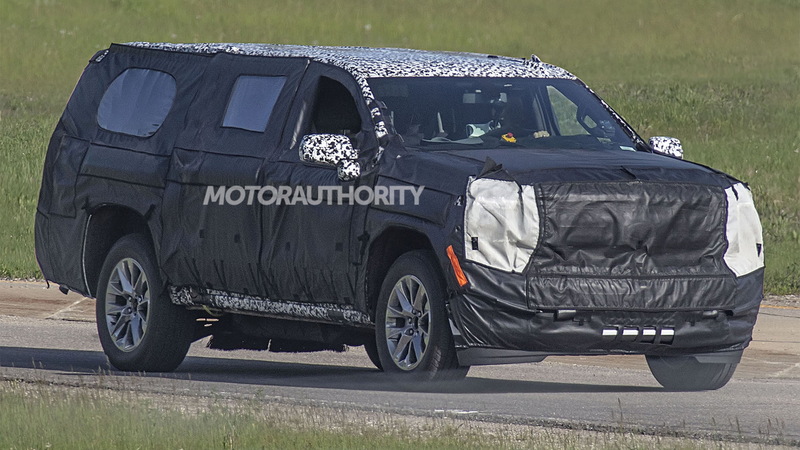 The first prototype for the redesigned 2020 Chevrolet Suburban has been spotted, revealing a few clues about the upcoming SUV. 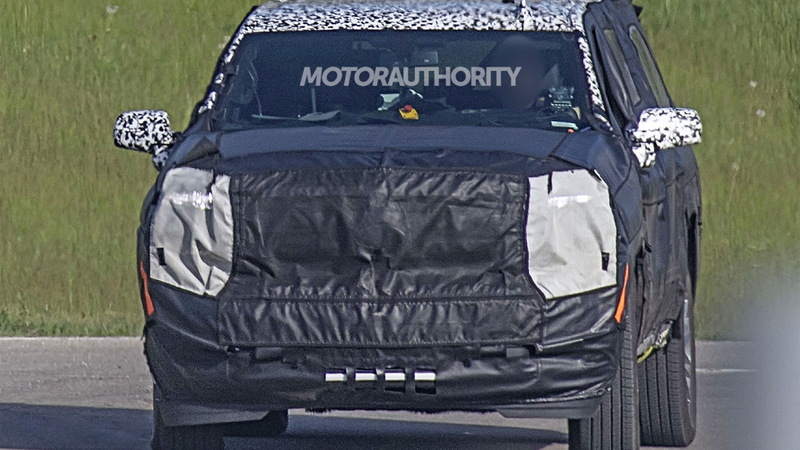 General Motors is in the process of redesigning its full-size fleet around the T1XX body-on-frame platform for SUVs and pickups. The platform is an evolution of the current K2XX design and swaps out some steel for aluminum to shed the pounds. We hear it might help the new Suburban shed close to 300 pounds. The recently revealed 2019 Chevrolet Silverado 1500 and GMC Sierra 1500 are the first vehicles to ride on the T1XX. 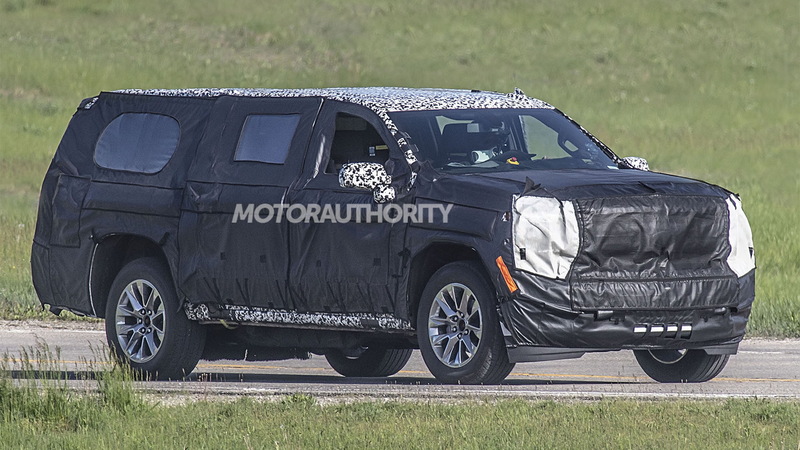 We expect the 2020 Suburban to arrive in late 2018 or early next and to be followed shortly by a redesigned version of the smaller Tahoe. There's a lot of camouflage gear but the design of the vehicle's face, especially the headlight treatment, looks to have been borrowed from the latest Silverado. We can also make out the angle of the C-pillar through the camouflage gear and the graphic of the taillights also sneaks through. Despite the best attempt of the engineers to hide the rear axle, we can clearly see an independent rear suspension instead of the current generation's solid rear. 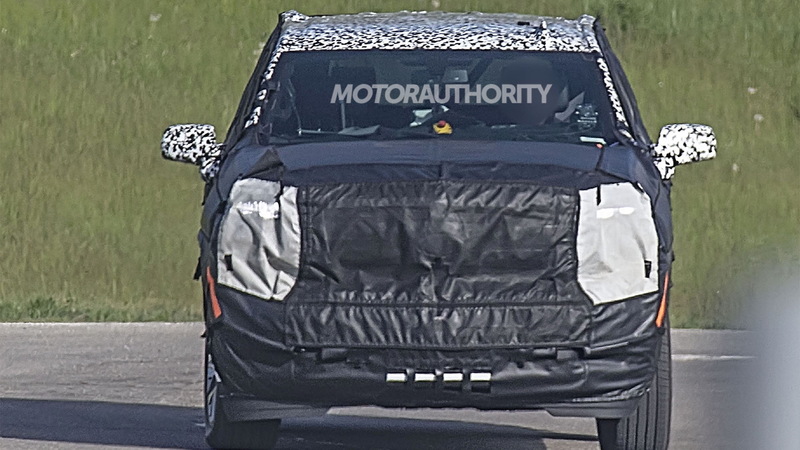 This is likely in direct response to Ford's latest Expedition and should significantly improve comfort levels. 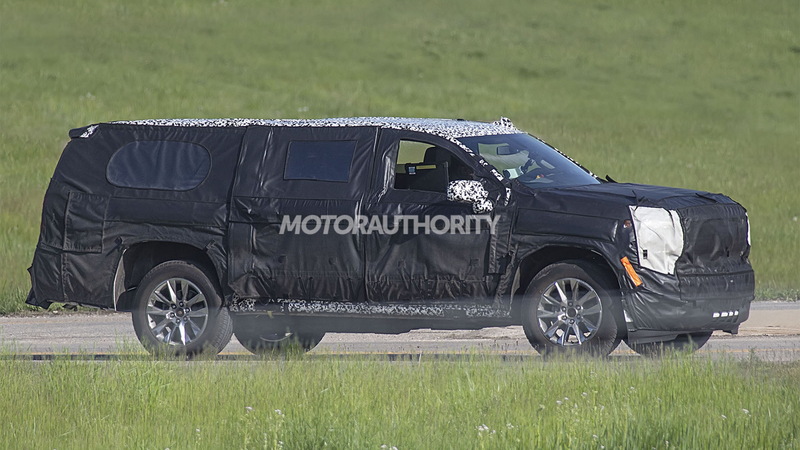 The other big news is the wider range of powertrains expected for the new Suburban. There's a good chance we see GM's new 2.7-liter turbocharged inline-4 with cylinder deactivation fitted—yes a 4-cylinder Suburban. The advanced powertrain, which makes 310 horsepower and 348 pound-feet of torque, has already been announced for the Silverado. A 5.3-liter V-8 should also be offered, possibly with the more advanced Dynamic Fuel Management cylinder deactivation technology that can vary the engine's firing between one and all eight cylinders. And at the top of the range should be the 6.2-liter V-8 with 420 horsepower and 460 pound-feet of torque currently available in Suburban RST trim.